Cheers to our second anthology release this summer! In this volume you’ll find an array of animal shifters, magical creatures, gods, and spirits. Story settings include: India, Japan, Cambodia, China, and outer-space! Interested in writing for us? A new submission call opens on September 1st! See our Submissions Page for full details. Hello everyone, and a warm welcome to our new blog followers! Well, it’s been sweltering here in Japan for the past few weeks. We’ve had several days over forty degrees and still with high humidity! I’m ver glad I bought a new air-conditioner for my office this year. How’s the weather where you guys are? 1) Insignia: Asian Science Fiction was published in July, and is currently in Round 2 of a cover art contest over at All Author. If you like our cover design and would like to support us, please pop over and vote! No need to be a member or register on the site to do so. 2) Insignia: Asian Birds & Beasts will be released on August 20! I did an announcement post about it a few weeks ago, but if you missed it, you can check out the book details HERE. 3) Next Insignia Series anthology? A few people have asked about the next project: I’d like to open a new submission call in September or October, so would be curious to hear from you writers out there what themes would interest you…Or readers, what would you like read about next? One of my ideas at the moment is to do ‘Flash Fiction & Poetry’, accepting work up to 1000 words in length, and open to poetry for the first time. I’ve been writing 100-word stories recently, and love how much story you can tell in just a few paragraphs. All stories would still be required to be set in Asian countries (or a fantasy version of) and have leading Asian characters. My second idea is to do a ‘Best of Asian Fantasy 2018‘. Submissions will then be open until year-end, and I would select maybe the Top 5 stories from those nominated. Stories would have to have been published this year by a journal or small press anthology etc, NOT self-published pieces. Lastly, my best idea for a story-themed anthology is to do ‘Asian Ghost Stories’. I think we have ghost stories in every Insignia anthology to date, so I feel it would be easy to fill with great submissions. I just wanted to do a quick post today for anyone who has missed seeing the new page updates in the past few weeks. 2) Want to write for the next anthology? 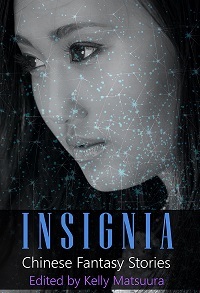 Details for INSIGNIA: ASIAN FANTASY STORIES are now available on the submissions page. Please read the criteria carefully and follow the submission timetable. I’m hoping for a good selection of both countries and sub-genres, so be creative! With this project, I also have a special request for India/Himalaya region stories. If you know any writers from this region or with an interest in Indian culture etc, please pass on the submission call information. 3) Have you read any good Asian fantasy books or short stories recently? I’m always happy to share published work with Asian main characters and/or settings under our Book of the Week category. If you’re an author and have a free Asian fantasy short story (or poem) published online or available to download, I could share this on our Free Stories page. Hi everyone, hope you’re all having a great month! I’m definitely enjoying summer in Michigan now that it’s finally warm, lol! Today’s post is just a quick catch-up on what’s new here with The Insignia Series, and I’ll chat a bit about our open submission call as well. August Cover Wars (Masquerade Crew): the cover for ‘Insignia: Japanese Fantasy Stories’ is entered in this monthly cover contest. Voting is open daily, and you can vote for several covers at once, not just Insignia. Have a look, there are some great indie books listed in the contest too! To everyone who has been voting, THANK YOU! Round One will finish next week sometime, so it’ll be great if you can help us get through to round two. Every vote counts! New Facebook & Twitter pages: If you haven’t seen these new accounts yet, please take a moment to follow us! 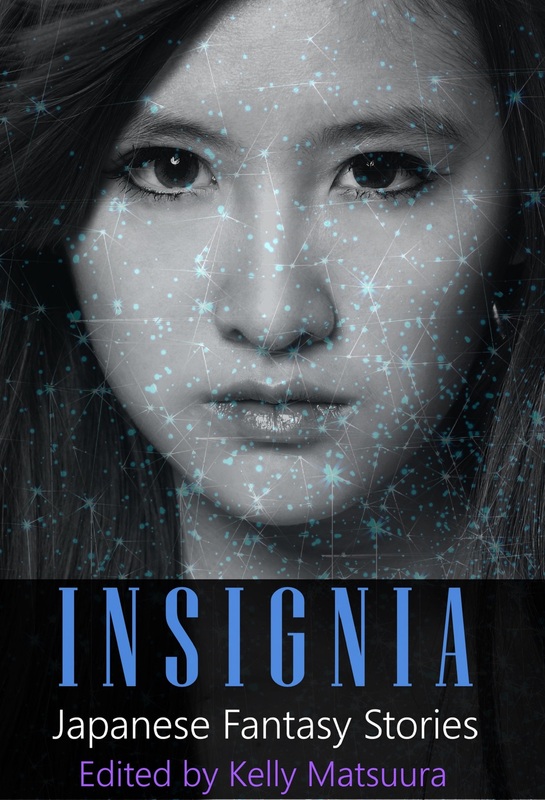 I’ll continue sharing Insignia news on my ‘Kelly Matsuura/Kelly Noro’ accounts, but I hope to build up the number of followers for the exclusive Insignia Series pages. I’d really like to see the current and potential Insignia authors following too, it will help me keep track of everyone a little easier. Thanks! ‘Insignia: Southeast Asian Fantasy Stories’ open submissions: I hope there are some people out there working on their submissions already! I can’t wait to see what stories come in. All the submission information is on the Submissions Page, but the most important thing to remember is the deadline – AUGUST 31st!!! If you have any questions about the story guidelines etc, please leave a comment on this post, or on the submissions page, or email me (Kelly) at blackwingsandwhitepaper@gmail.com. I’ll be checking this email address daily from now on. If you would like to submit your story early, that’s okay with me, but I won’t be sending out acceptance notices until September. (I will confirm receiving your submission though, of course). Hi everyone, how do you like the new Insignia graphics? As well as the new banner and book covers, we’ve also added a new story to Insignia: Chinese Fantasy Stories! This anthology was always a little shorter than we wanted, and in preparation for print books (Yes, we’re going to do paperbacks soon! ), it seemed a good time to add a story while the covers were being changed, etc. The new story added is ‘Black Smoke and Water Lilies’ by Canadian author, David Jon Fuller. It’s a wonderful magical realism piece, and adds an interesting contrast to the other stories already in Insignia Vol.2. (Which are, all written by female authors). Read an excerpt of the new story here, and view David’s author page here. David wrote a post about his story on his own site too. Read it here. All the buy links for Insignia: Chinese Fantasy Stories can be found on the Insignia Vol.2 Page. Please note, the new edition may not be available yet on Barnes & Noble, Kobo, and a few other sites. It is available on Smashwords, which is the distributor to those sites, it just takes a little longer for updates to appear on some seller’s websites. Please check the cover and new book information carefully before buying from sites other than Amazon and Smashwords this week. Thanks. If you have previously purchased a copy of Insignia: Chinese Fantasy Stories, you should be able to download the new version from your ebook library with Amazon, Smashwords, etc for free. Insignia: Japanese Fantasy Stories has a new cover, but no changes were made to the stories in this anthology. Don’t have a copy yet? Find all the buy links and the full blurb on the Insignia Vol.1 Page. We are also currently open for submissions for Insignia Vol.3! This will be a collection of Southeast Asian fantasy. See the new Submissions Page for details. Insignia Series News: Open Submissions and more! Hi everyone, hope you’re having a great week! I just wanted to do a quick post today to let you know what I’ve got planned for The Insignia Series blog and anthologies. Have you seen the new Submissions Page? If you are a short fantasy writer, you may be interested to browse the Submission Call information for Insignia 3: Southeast Asian Fantasy Stories. The deadline to submit work is August 31, so mark your calendars and start brainstorming! I’m looking for a mix of authors and speculative fiction sub-genres, so don’t be scared to send me something a bit ‘out there’. I’ll love it. Also on the Submissions Page, I have a special request for a couple more Chinese stories for Insignia 2. This anthology was published last year and I love every story in it, however I’d like to add 2 or 3 more if I can get them. This is to bring the page count up in anticipation of doing paperback copies in the near future, and having it the same length as Insignia 1. I did make a deadline of June 30 for this, but if I don’t get any submissions by then I’ll probably leave it as an open request. If you are interested in writing a piece for this call but need more time, please contact me to discuss it. And, I have a tentative plan for Insignia 4: Tsukumogami Stories! Seeing that Japanese fantasy is especially popular, I decided it would be fun to do another Japanese anthology with a more focused theme. I’ll write some fresh stories for this collection too. What else is news? Oh yes, I’m also redesigning the series’ covers! I hope to have them all done by the end of the month, including the cover for Insignia 3 and new artwork for this blog too. It’s all happening!